The game isnt bad, the mechanics are simple and its entertaining. My complaint is the paywall. 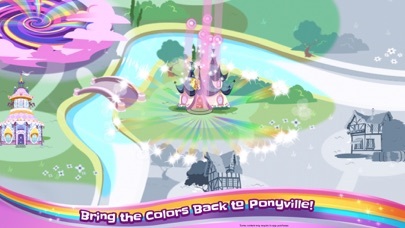 You get two free ponies and then to unlock the other four parts of the map passed the first levels in it you need to pay like $17. While i can respect the need to pay everyone who works on a game like this since there are no adds, its such a short game that spending what could buy me food for a few days doesn’t seem justifiable. So now completion and the enjoyment of finishing off an app like this is stuck behind a paywall. 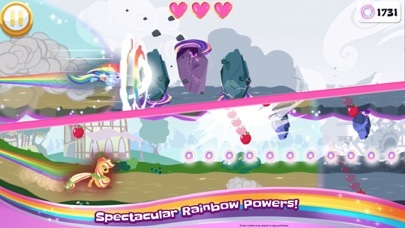 My daughter can only play two ponies. You need all the ponies to move on to other areas. Really disappointing! 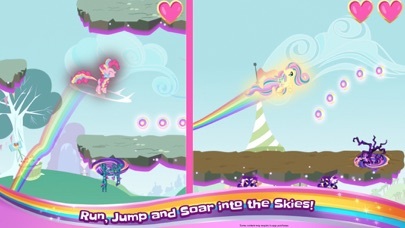 I got this game for my 6 year old who loves My Little Pony. She loves the game; however, with only one map she is completely done with the game with a pack (we purchased the rest of the ponies) fully powered up ponies. Now, there is nothing left to do but to completely reset the game. (Who wants to do that?!) The ending of the game was disappointing as well. Also, I think the game should have more purposes in collecting the coins. 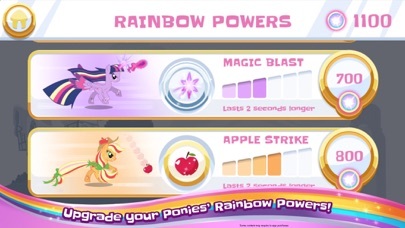 Once you have fully “Powered Up” your pony’s, the coins have no purpose. I will say she is very proud of herself for completing a game for the first time and that is nice to see. 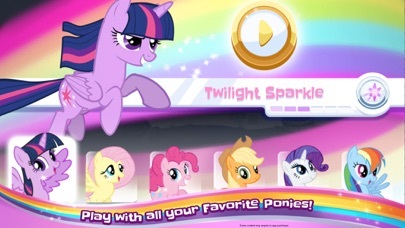 I only got two characters: Twilight Sparkle, and Flutter Shy because I can’t get more characters and “in app purchase is not allowed”.